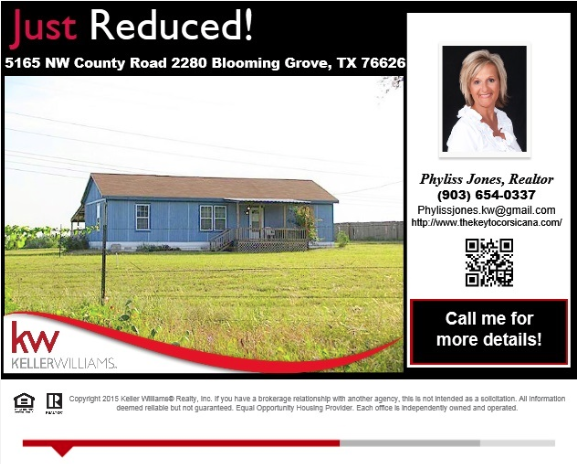 Please contact me Phyliss Jones (903) 654-0337 if you or anyone you know might interested or visit my page to view our listings http://www.thekeytocorsicana.com/ . 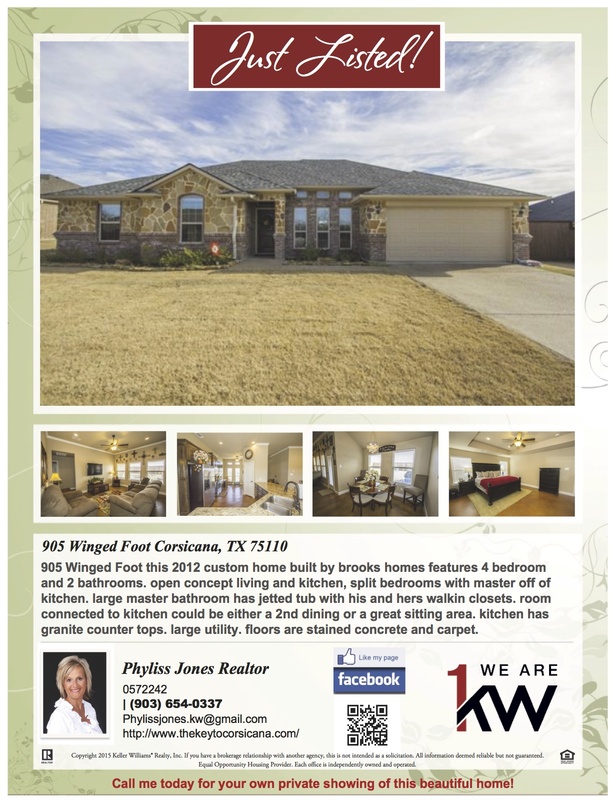 Very Beautiful and Spacious Home In Corsicana! Come and enjoy the moments with your family in this vibrant home. Seize the opportunity, check and find out more at this link now! http://www.thekeytocorsicana.com/ or give me a Call Phyliss Jones (903) 654-0337. 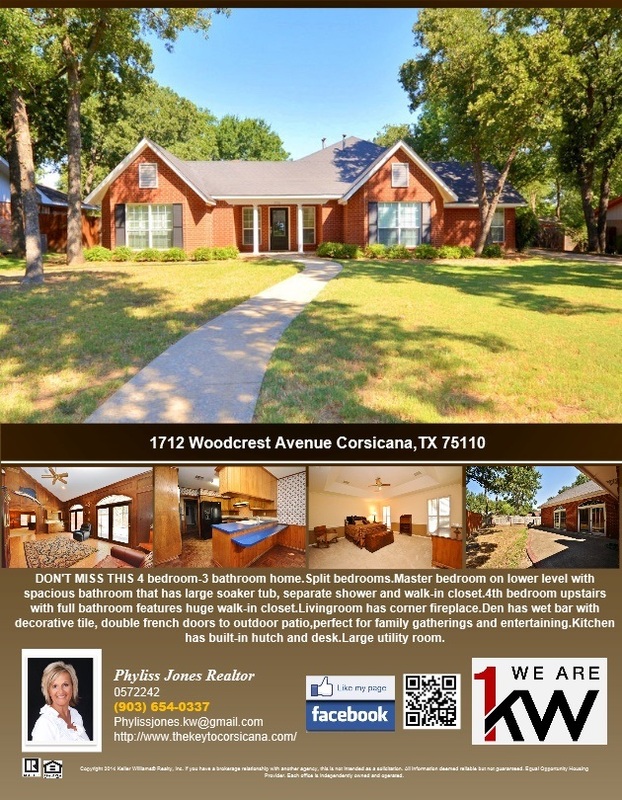 Newly Listed Beautiful Home in Corsicana! 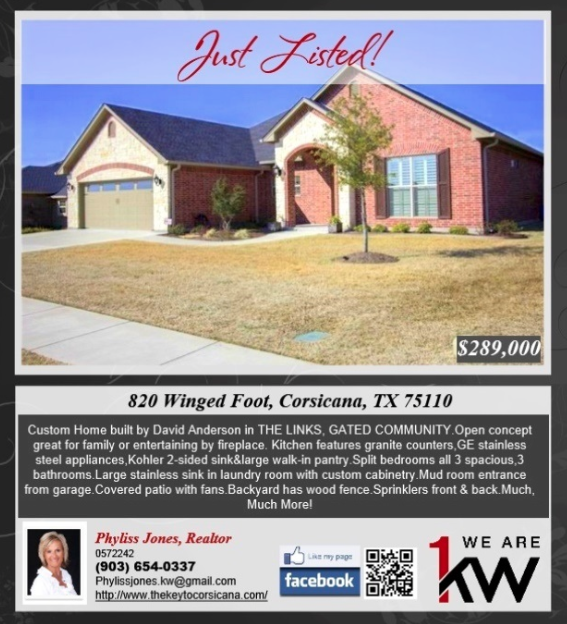 Here’s another Newly Listed Beautiful Home in Corsicana! 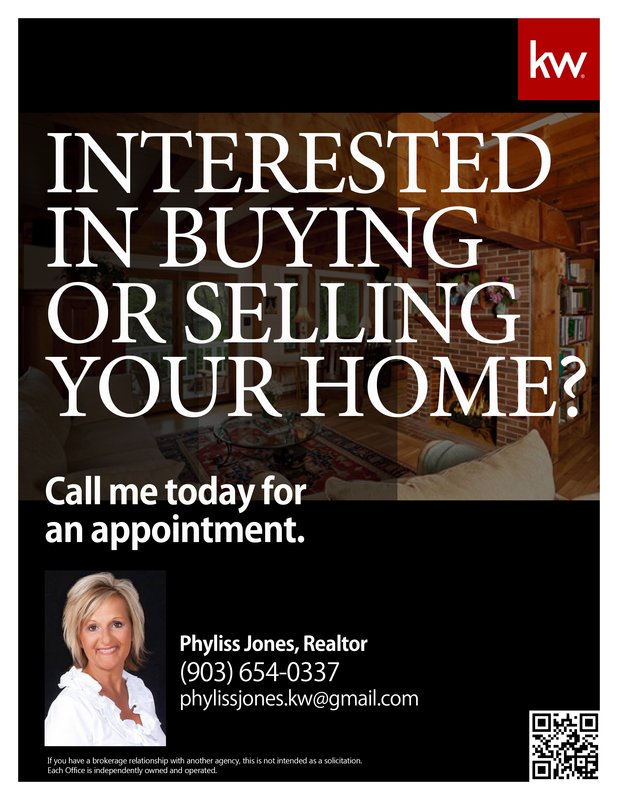 call me for showing and information Phyliss Jones (903) 654-0337.